"Imam Johari Abdul-Malik showed McFarlane around the worship area and even acknowledged that Dal Al-Hijrah is not a typical Islamic center. It has been a hotbed of controversy. Its worshipers have included two of the Sept. 11th hijackers and Nadal Hassan, the man believed responsible for the massacre at Fort Hood. Most alarming to critics is its former Imam, Anwar Al-Awlaki. Al-Awlaki is now considered a leading terrorist recruiter and is believed to have plotted with the would-be underwear-bomber and the Times Square bomber. Now he is a wanted man by U.S authorities and is on the loose in Yemen, U.S officials believe. 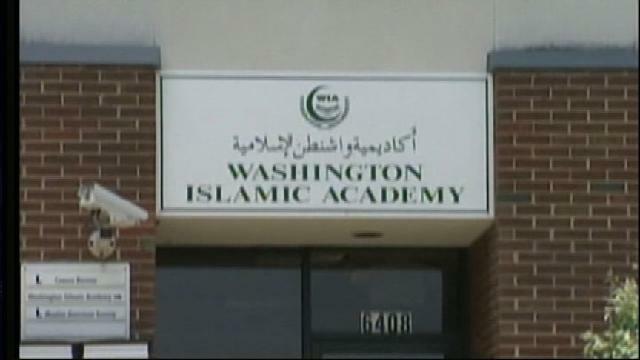 "If you have one branch of government saying this is a terrorist organization and another branch giving them a half-million dollars a year, there is a disconnect here," said Landman. Excellent Blog! I really admire your thinking and the way you have put these information in this post. Thanks for sharing an informative post. This the best informative blog that I have seen. You've revealed another important find Trevor, thank you. This seems to be a little more than just the usual "BS PC crap." Do the math... $500,000/year = $41,666.67/MONTH! (Gotta love the "666" irony) Doesn't that appear to be a bit excessive for only 6,600 sq.ft.??? Money laundering? Kick-back? Corruption? Islamist agents inside the Government Services Administration? Or just plain government STUPIDITY?! You know, at 1,641 sq.ft. I wonder if I could get them to rent out my house for $10,359.85/month? I am an American and I have to thank you Kiwi's for letting me know what's going on in my own homeland. A Change of Course in Cuba and Venezuela? Is the President "Losing It"?